Community banks have traditionally shied away from making costly small-dollar loans, but some are returning thanks to tech solutions that help streamline the lending process. People occasionally need a little extra cash to bridge a gap, pay for an unexpected auto repair or tide them over until a new job starts. Those loans can strengthen banking relationships and keep customers from going elsewhere in an increasingly competitive marketplace. 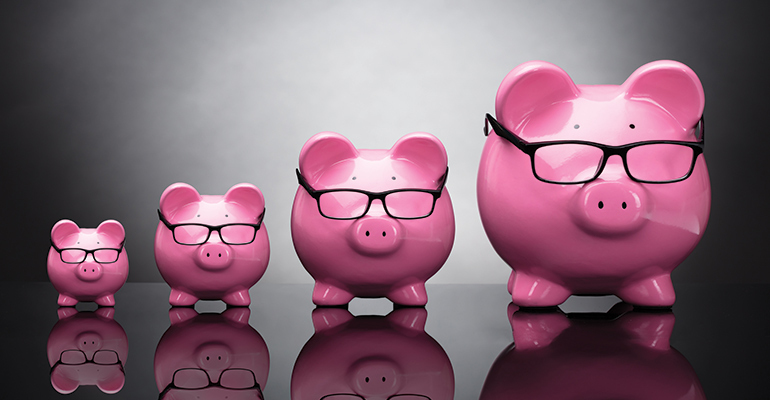 Yet many community banks don’t offer small-dollar loans because they aren’t cost-effective. “There is a perception among banks that small-dollar loans are a little bit taboo or not profitable,” says Andy Papadopoulos, CEO of CloudBnq, a provider of digital lending and loan origination software. However, digital lending processes are bringing more efficiencies to small-dollar lending. St. Paul, Minn.-based Sunrise Banks is a Community Development Financial Institution that sees the negative effects of high-cost credit in the payday loan sector firsthand. The $1.1 billion-asset bank wanted to find responsible alternatives that would be cost-effective for the bank, notes CEO David Reiling. Sunrise Banks has partnered with two different fintechs to provide small-dollar loans. One is TrueConnect, which helps to provide loans between $1,000 and $3,000. Sunrise Banks sells the program to employers, who then offer it as an employee benefit. The technology is integrated into the payroll system, which automates the underwriting by pulling data like gross salary and time on the job. The program, which allows an employee to borrow a max of 8 percent of their salary, is designed to be agile. “The decisioning process is quite simple and fast, with loans that can be done start to finish in about three minutes,” says Reiling. Funds are then automatically deposited to a bank account or a prepaid debit card, usually on the next business day. Sunrise Banks also works with Self Lender to offer cash-secured, small-dollar loans that help borrowers to build credit history and develop savings. Self Lender has the front-end system in which to do the know-your-customer (KYC) and Customer Identification Program (CIP) processes, house the loan and accept the payments. As the bank of record, Sunrise Banks provides oversight on compliance, does the data exchange and holds those loans on its balance sheet. Although there are a number of fintech companies available that offer dedicated small-dollar lending solutions, another option for community banks is to use automated processes or digital-lending platforms that streamline loans of all kinds and sizes, from $1,000 to $1 million. The way financial institutions have traditionally processed small-dollar loans is similar to the process they apply to larger commercial loans. Many just don’t have an efficient way to process small-dollar loans. “I think the mistake that some banks are making is saying that they don’t want to spend all this time on small-dollar deals, but they’re trying to solve the wrong problem,” says Papadopoulos. The bigger question is how to make that lending process faster, easier and more efficient regardless of the loan size, he adds. Automation can dramatically reduce the amount of time in the application collection, review and underwriting processes. For example, CloudBnq claims it can cut time spent processing a loan by at least 50 percent. And in the case of certain loan products, the platform can be configured to a “no-touch” or fully automated process from end to end. That automation keeps customers in-house rather than having them go elsewhere for that loan, which would give a competitor their financial information to cross-sell them other products and services, or take away their entire portfolio, says Papadopoulos. “The challenge that banks have with legacy technology is that they can’t keep up with business demands by creating different workflows for different lending products,” says Snehal Fulzele, senior vice president and general manager at Cloud Lending, a Q2 company. Technology solutions like Cloud Lending allow banks to quickly configure loan workflows and credit risk models for different loan products and sizes. For example, a lender could set a $10,000 threshold for loans to be processed completely digitally, with no human involvement. A loan of more than $10,000 could be reviewed by a lender or go to a committee for a decision. “It really depends on the risk appetite for the lender. Today’s lender needs technology that can align with a business’s changing requirements in real time,” says Fulzele. Community banks often pride themselves on building strong relationships with customers. Digitizing the lending process from end to end doesn’t mean disconnecting from customers and losing that personal touch, notes Fulzele. “Today, customers want an Amazon- or Google-type experience from their banking partners,” he says, adding that community banks can use technology to deliver loan products more efficiently and also deliver a better experience for borrowers.